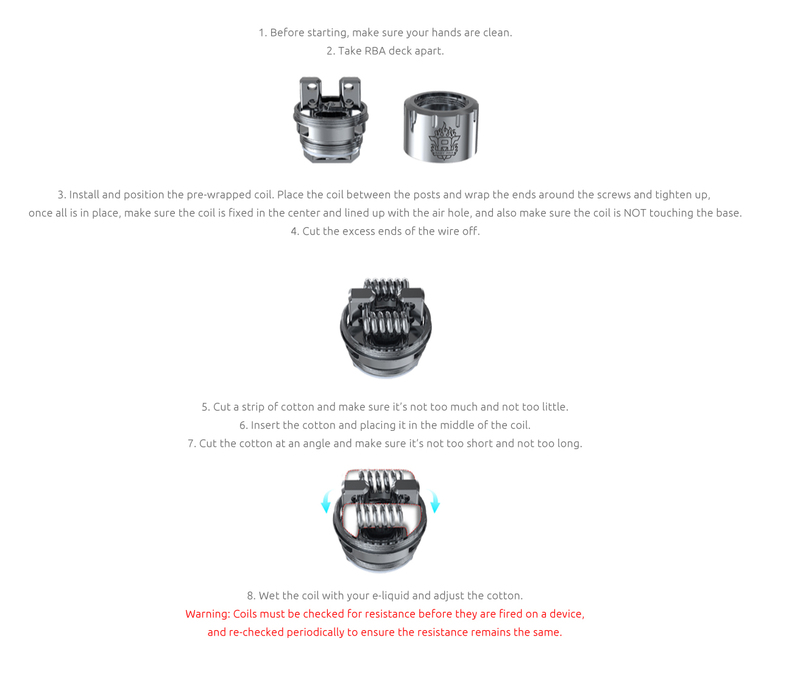 TFV8 Big Baby Light Edition Tank is an upgraded version of TFV8 Big Baby. 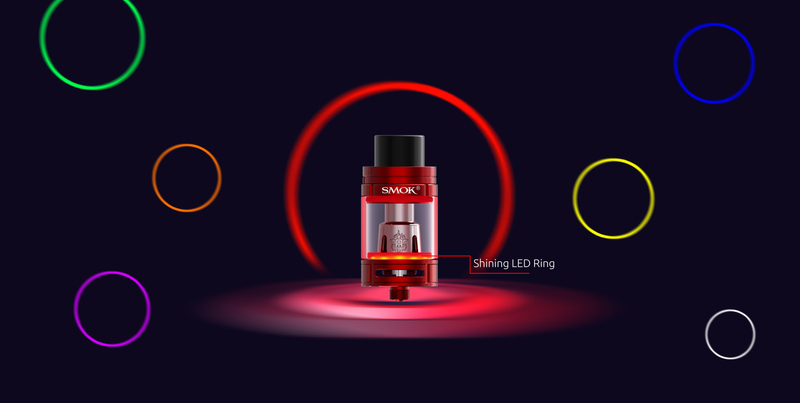 The new features are LED Lights at the base of the tank to pop up the color at the time of firing the device to vape. The color of the sealing ring also changes at vapes time. 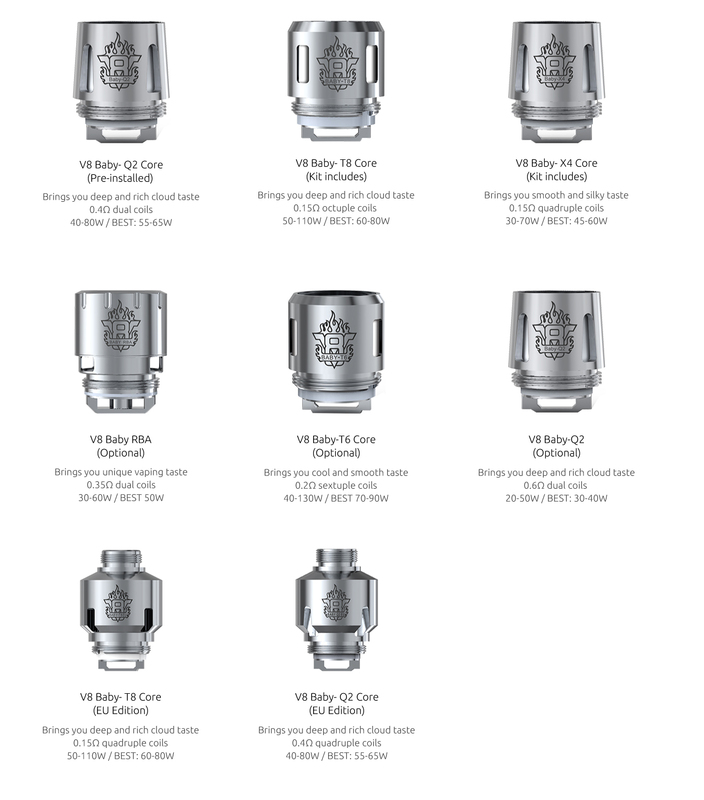 It is compatible with V8 Baby-X4, V8 Baby-T6, V8 Baby RBA, V8 Baby-Q2, and V8 Baby-T8 core. 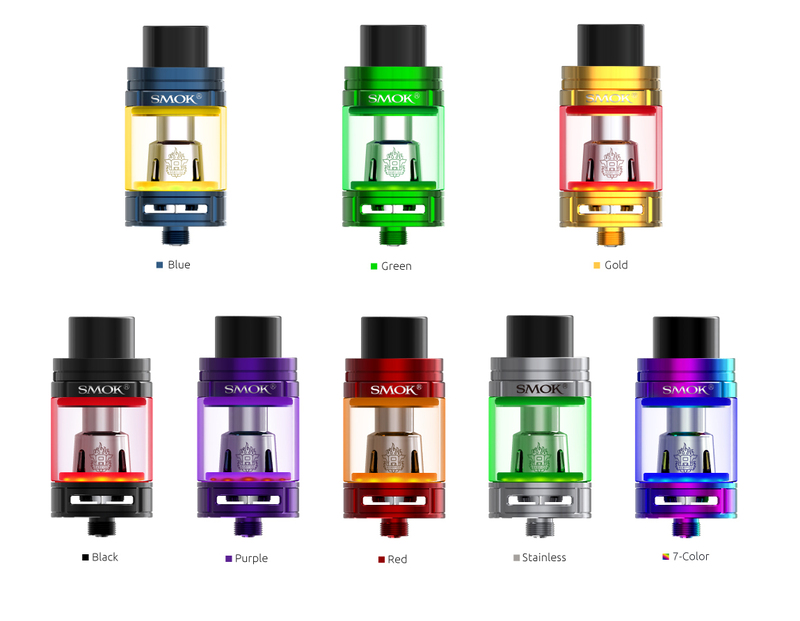 The structure of the Light Edition measures 24.5mm in diameter and can fill up to the capacity of 5ml via hinge and lock system and is expandable to 7ml capacity due to optional bulb pyrex glass. A phenomenal flavor and cloud chasing experience are witnessed through this new edition. 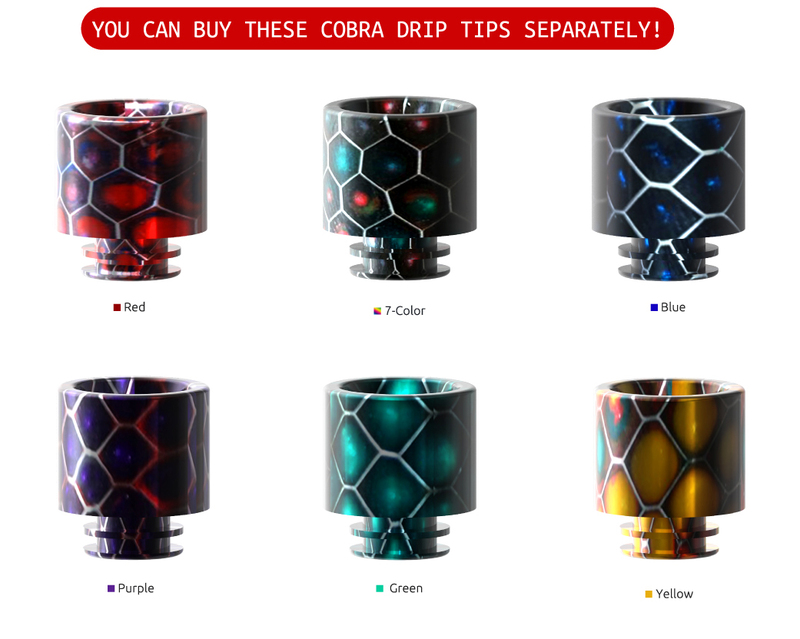 Each TFV8 Big Baby Light Edition consists of six pairs of colorful O-Rings which work with new LED Light mechanism. Delrin Wide bore dip maintains the high level of heat dissipation for longer use and high performance. The Baby surprises with its bright light, hyper engines and a large volume of e -juice capacity. It is available in a variety of colors. 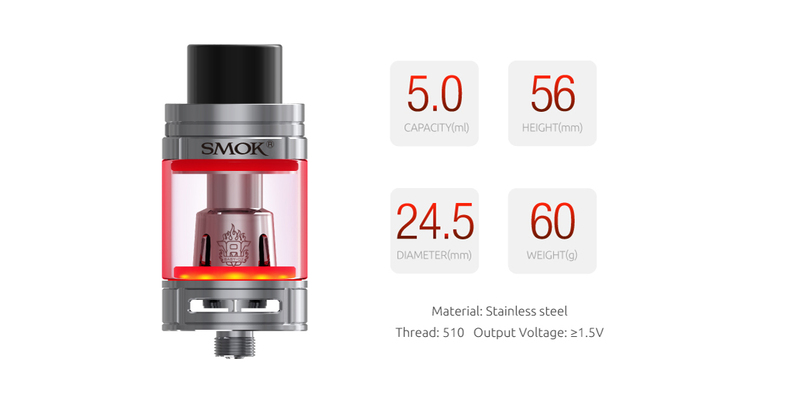 which effectively enlarged the e-juice capacity from 5ml to 7ml! Use one tank you can own larger capacity. 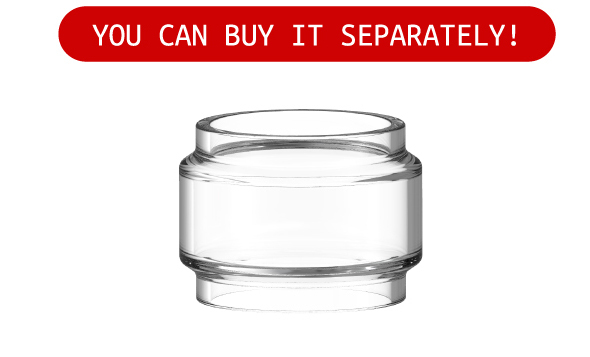 You can buy it separately! the LED will light up and change its color along with the color of sealing ring. Note: The output voltage cannot lower than 1.5V, or the LED won’t light up. You don’t need to worry about this when the mod is in TC mode, for the out power can automatically adjust.